But the reality it is not that simple for a number of reasons. Given the intractability of this perspective, it is worth stating what should be obvious: there are complexities related to history and how these societies have organised their governance systems and social order. The tendency to view them through the urban lens verges on ethnocentrism, which is the practice of projecting one’s social and cultural experience on another people. In this article, we will discuss these complexities briefly. The first is related to population growth, especially young people who are in need of space to build their own living spaces, despite growing urbanization. Land in communal areas is a security of shelter for those who come from those areas. They tend to see the urban migration as transient and retain close links to kin and kith in the communal areas. They see their future tied to land, which has a spiritual value, as housing the souls of their ancestors, in the communal areas. By seeking their own space – inxiwa — they are guaranteeing themselves a retirement home and a sense of belonging. Furthermore, land in the communal areas has cultural value, and this is particularly the case for first-born males who see it as their responsibility to carry their family legacy. Of late there is growing interest in the precise role that communal areas can play in the agricultural development and job creation in view of the fact that there are vast tracts of under-utilised but arable land. Most of South Africa’s last remaining underutilised water is also located in communal areas, with long-term plans to build dams and irrigation schemes in the Umzimvubu catchment area on the table. Some have placed the blame for low agricultural productivity in the communal areas solely on the absence of title deeds, but this may be an oversimplification. In our view, this is a narrow perspective as it fails to understand the differentiated nature of communal land systems. Those who favour title deeds assume simplistically that if title deeds were to be extended to formal homelands, the land market would become liquid. It is hardly the case that individuals who own homesteads are in search of title deeds since they are secured by virtue of allocation by the traditional authorities. It is inconceivable that a Chief would kick out of the homestead members of a household because they are said not to be rightful owners by virtue of not having title. There are, however, gender related challenges that are gradually dissipating in other areas, where women would not be allowed to have a homestead ‘registered’ against their name upon the passing of the parents, and their brothers would be preferred. These are separate questions that will require a different article. The spiritual value of homesteads cannot be under-estimated. Many households in communal areas use their allocated land as burial sites, typically on their gardens which are roughly one hectare or so. 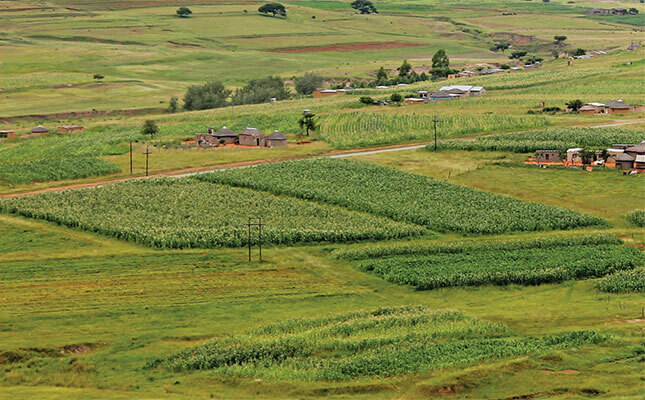 This is changing gradually in newly allocated areas – amanxiwa — since increasingly the land allocated has a smaller size, roughly half-a-hectare, than the original homesteads. Farming in the allocated area is typically of a subsistence nature as households needed those homesteads in the first place for settlement and to be able to grow produce on a small scale to feed themselves. From a financier’s point of view, there remains the risk that this sale in execution will not be socially acceptable to the community, especially if it is sold to a person who is not part of the community. Collateral value is not solely based on title deeds but rather on the confidence that there will be a market if the asset must be sold as a last resort. If the sale of communal land to an outsider is not socially acceptable to the community, one may be left with title deeds that have little collateral value in the conventional sense. South Africa desperately needs innovative financing mechanisms rooted in custom and accepted by financiers. Finally, with title deeds come the obligation to pay municipal property rates. On the one hand, this will place a financial obligation on occupiers, many of which suffer multi-dimensional poverty. It makes sense to talk about title deeds for cropping and grazing land rather than on a blanket basis to encapsulate homesteads. There is a need for nuance and differentiated approach towards introducing market mechanisms in communal areas. This should aim to protect the social value of the homestead, while liberating the animal spirits of the market in the plantation and grazing fields that are located far from the homesteads. The concept of ‘use-it or lose-it’ is often applied to cropping and grazing land in many customary systems but not to homesteads. As such, the risks associated to using land as collateral may be better vested in grazing and cropping land versus homesteads. When we talk about title deeds in a general sense it gives ‘iNkosi’ (chiefs) a platform to create a bogeyman: if homesteads have title deeds and credit markets are unleashed, people could lose their homes to banks, and a new class of beggars would mushroom in these areas. A more nuanced approach which better accords with known custom may be grant title over the fields and grazing veld, and perhaps have a different tenure arrangement for homestead – maybe then attitudes could change. 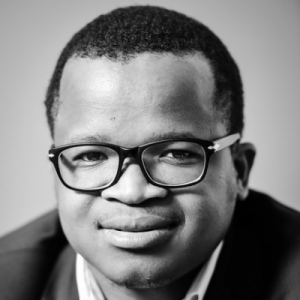 [i] Sihlobo is an agricultural economist at the Agricultural Business Chamber (Agbiz). Qobo is a political economist at the University of Johannesburg. Boshoff is heads legal research at Agbiz. *First published on Business Day on 22 October 2018.